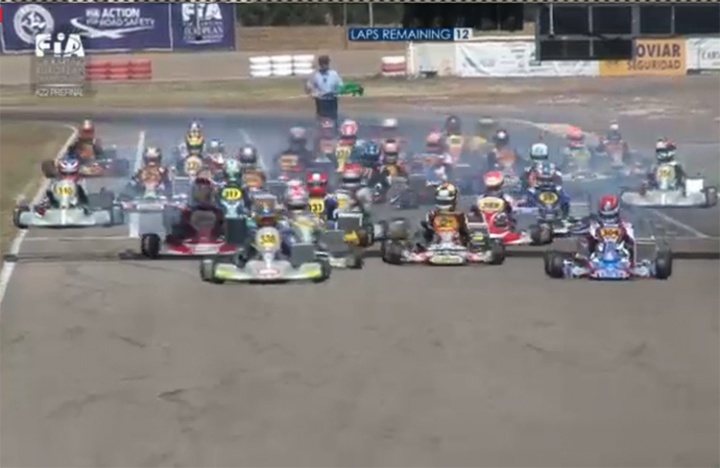 The second European Championship round for the gearbox classes in Zuera, Spain, saw Celenta in KZ2 and Camponeschi in KZ taking the win in the pre-final to start the final from pole. In KZ2, Celenta takes the field by storm overtaking French driver Besancenez, particularly competitive in the heats on Saturday and still the fastest in the pre-final with 1'00"129. Celenta, once in the lead managed to the finish with ease.